Bridport is an industrial market town on the west Dorset coast which has played a pivotal role in the region's hemp and flax industry for over 700 years. 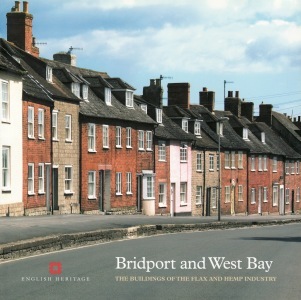 The industrial heritage of this town is not widely known outside the area and very little has been published on the regional and national significance of Bridport. Hemp and flax was traditionally grown locally and used for the production of cordage, netting and sailcloth: this industry expanded from the 18th century onwards with the construction of new mills and warehouses along with the continued use of traditional rope and twine walks, creating a highly distinctive range of building types.